You select "IONIZE" or "OXIDIZE." Generates low DC voltage amperage to electrodes. Unit remains in oxidize always, unless copper ppm falls below 0.4 ppm. 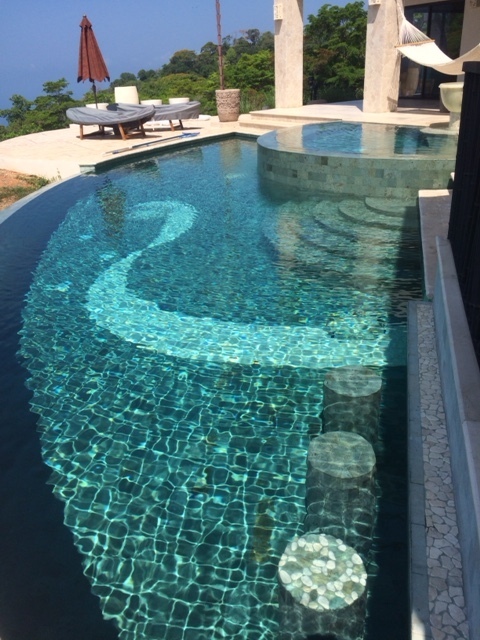 Digital display to fully automate your ECOsmarte®Pool with CO²pH Control. *Higher daily bather loads require additional equipment. Installs to 75,000 gallons with extra cell. 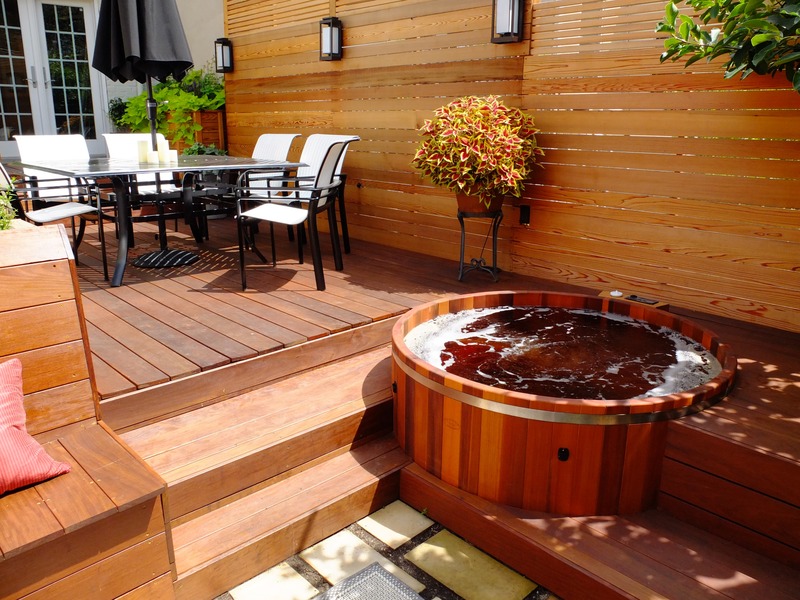 Photo coursey of Maine Cedar Hot Tubs. and national brand portable spas. If you're in the process of building or selecting a builder we can help. Get your family out of Toxic Chemicals. Its no secret that Chlorine is harmful. bleaching of hair, drying out of the skin and the burning of the eyes should alert you to the health and environmental risks associated with chemical treatment of water. A salt chlorine generator will give you the unhealthy sodium as well as the chloride. Failure to turn off a salt system can quickly lead to a 10 PPM chlorine level, TWICE the legal limit in most US states for public pools. 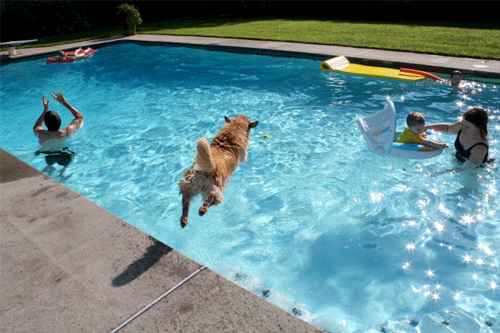 Switching to an ECOsmarte pool not only protects your family but also our Planet from Chemicals and Chloride Backwash. 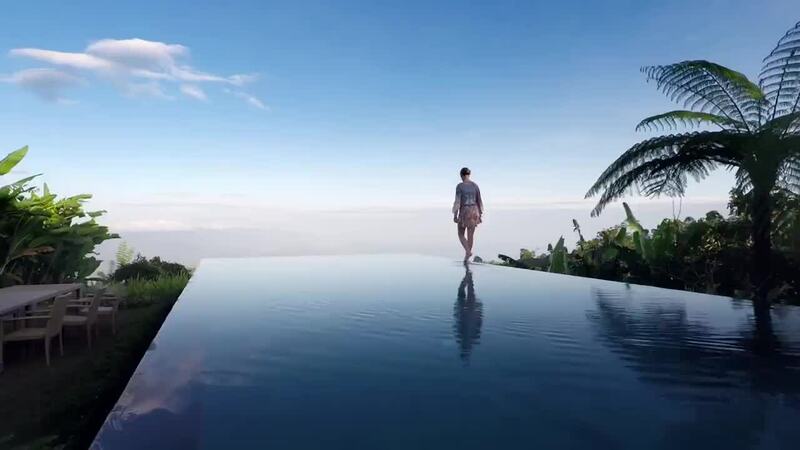 First time pool owner in Costa Rica has no issues in first three years. ECOsmarte® has the only method that can sanitize your pool or spa without chemicals. Our system uses just 4 watts of power vs 200-400 watts with a salt to chlorine generator, ozone or UV. 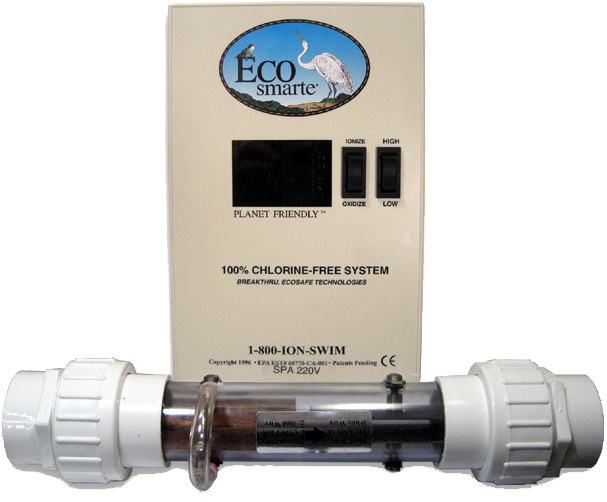 Once you install an ECOsmarte® 100% Chlorine-Free System, you will have major savings by eliminating chemical expenses. We provide a six months toll free support with Real people answering the phone at (612) 866-1200. 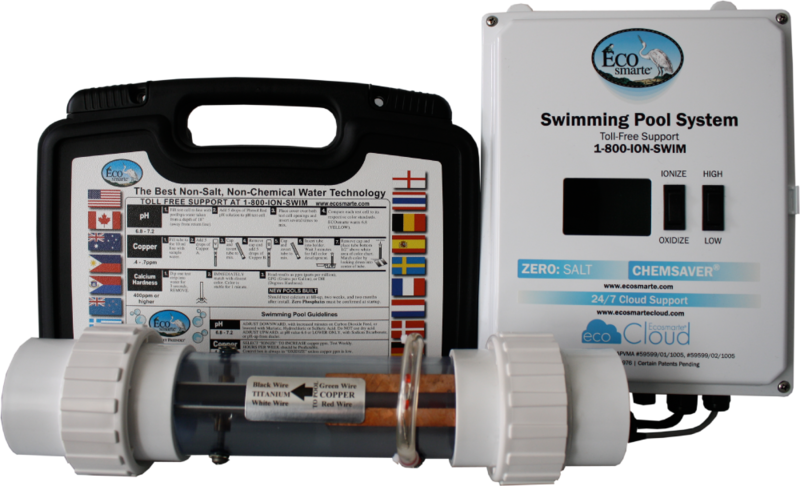 Use ECOsmarte's CO2 pH down (rarely if ever does ECOsmarte pool or spa require pH up), and no toxic chlorine, bromine, bacquacil or acid is required. The system pays for itself with no chemical expense over the life of your pool or spa, with no equipment damage due to chemical corrosion. The CO2 has even been shown to buffer pH in acid rains. If you currently use pH adjusters you will eliminate this completely. ECOsmarte®takes a proven technology one step further, completely eliminating the need for sanitation chemicals or for adding toxic staining silver to your water. ECOsmarte's technology is superior to chemical treatment and more effective than any other alternative methods available. ECOsmarte®has become a market leader in agricultural and well water treatment using no salt or chemicals, as well as the leading developer for advanced pool purification products and rooftop cooling systems.We have developed carbon dioxide using aquarium industry principles to eliminate acid as a pH down. You are always in the oxygen mode unless your water test tells you to flip a switch to ionize for one day. NO constant introduction of Metal to your pool, NO silver to cause stains. Titanium (oxygen) electrode is used 4-6 hours per day in pools, or whenever the spa pump runs automatically by programming the ozone or a simple timer. 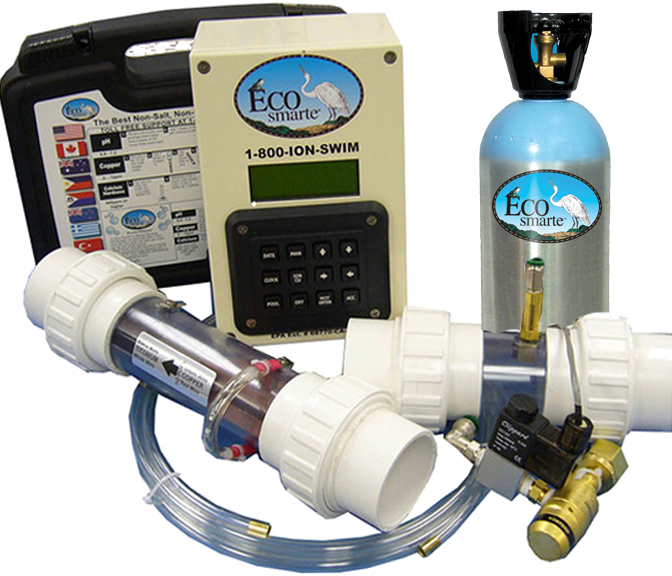 Automated Systems with CO2ph control available for Swimming Pools (In-ground and above ground) as well as spas. ECOsmarte warrants the entire water system (including tanks, electronics, flow switch and media) is free from defect in material and workmanship under normal use, service and conditions. All parts are F.O.B. factory. 2 Year Extended Warrantees are being given for FREE as part of our 25 year anniversary. 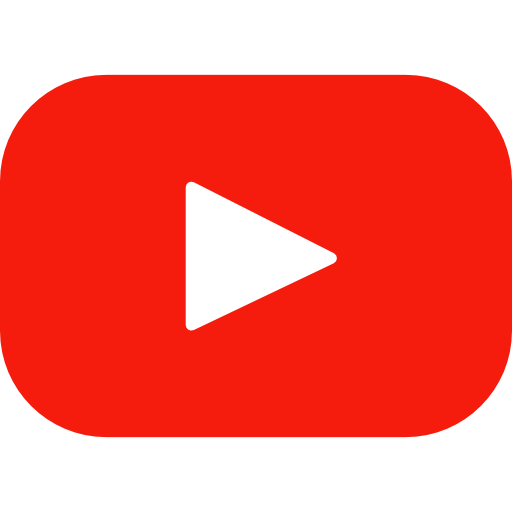 The TWO YEAR extended warranty is being offered FREE in 2018-2019 as part of our 25th anniversary celebration. We provide free 24/7 Cloud Support. Wifi enabled - Phone, Tablet, or Desktop capable.